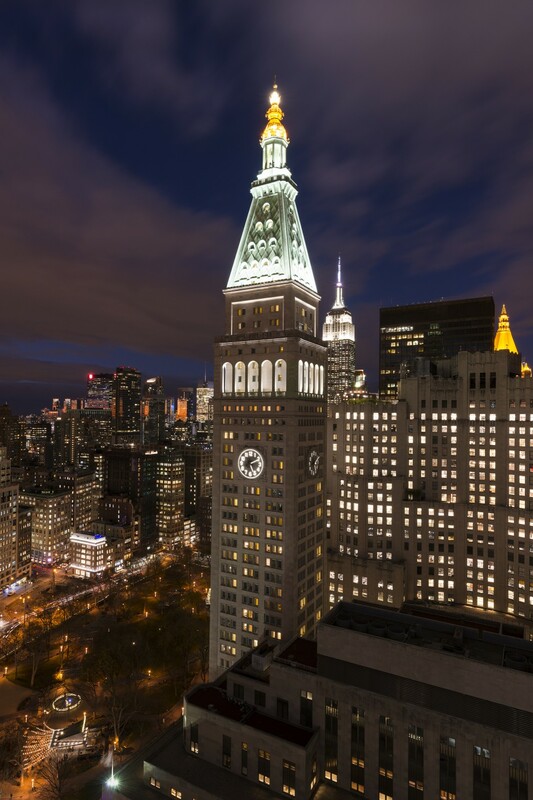 The New York EDITION Hotel (formerly the Metropolitan Life Insurance Company Tower) has graced the New York City skyline for more than 100 years. The goal was to illuminate the tower’s unique cornice to announce the hotel and the tower as an architectural element in the city. 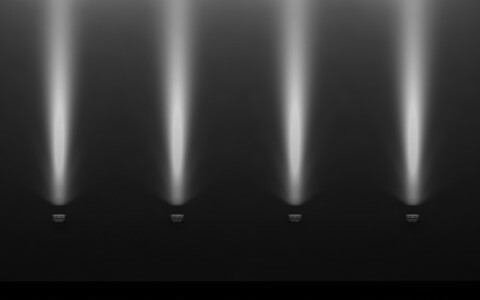 García Carrera and his team used crisp, white light to distinguish the new exterior lighting scheme from the previous, color-changing system – a hybrid of metal halide, fluorescent and high-pressure sodium floodlights. “This is a sophisticated, high-end hotel brand, and the owners and designers have a minimalist aesthetic. A calming, elegant application of white light seemed, therefore, to be the best approach,” says García Carrera. 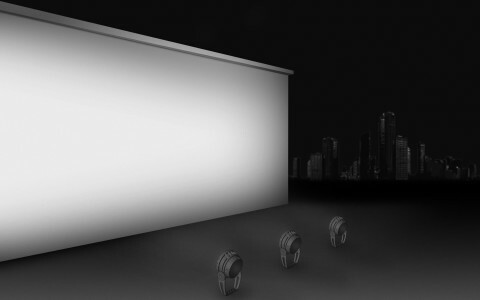 The firm mounted 16 four-foot Lumenfacade luminaires to the base of walls on the 36th floor terrace, illuminating the floors behind the unique balustrade. Lighting design firm Fisher Marantz Stone used Lumenfacade HO luminaires to give the New York EDITION Hotel a subtle, signature nighttime presence. 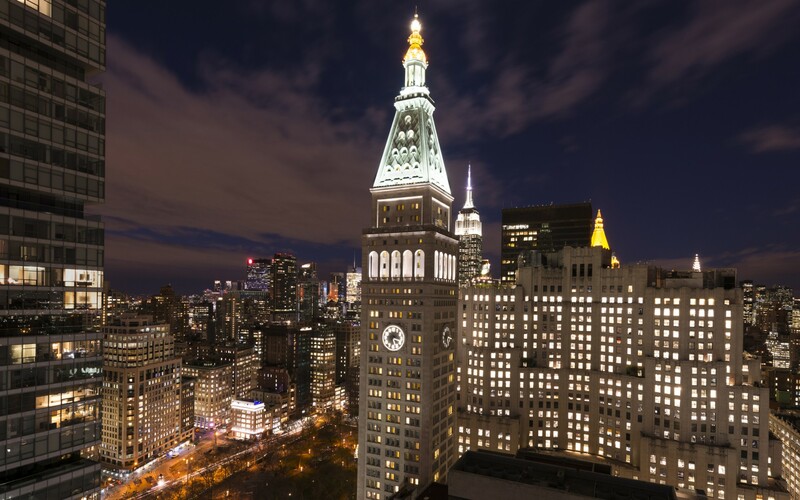 For more than 100 years, the New York EDITION Hotel (formerly the Metropolitan Life Insurance Company Tower) has graced the New York City skyline. 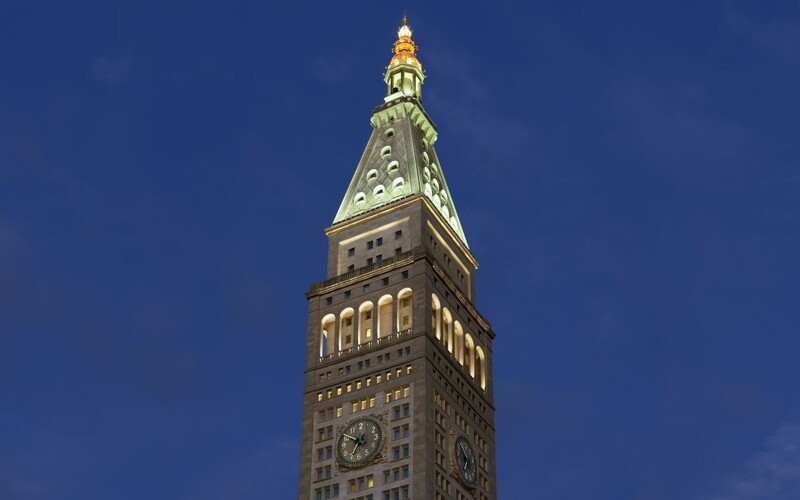 Lighting design firm Fisher Marantz Stone were recently engaged to upgrade the exterior lighting system and help accentuate the tower's unique cornice. 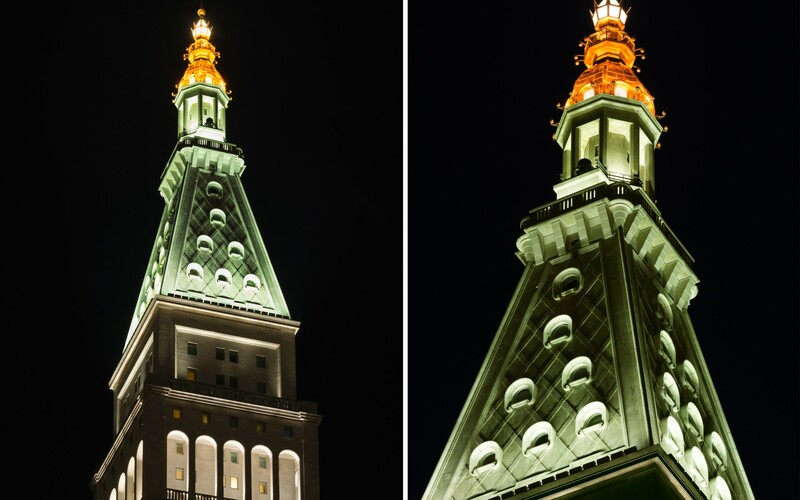 "The tower had been illuminated for decades as the Met Life headquarters, but the idea was to create something that would be distinct from that, which would announce the hotel and the tower as an architectural element in the city," explains Associate Principal Enrique García Carrera. "The new lighting also had to take into consideration guests' needs by minimizing stray light into the guest rooms located in the upper floors of the tower." 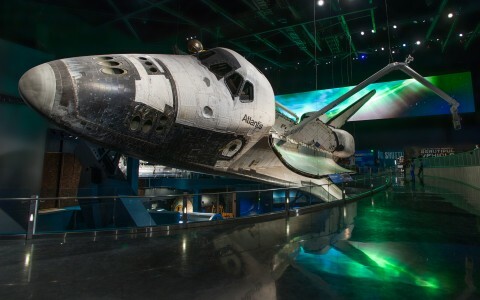 García Carrera and his team used crisp, white light to distinguish the new exterior lighting scheme from the previous, color-changing system - a hybrid of metal halide, fluorescent and high-pressure sodium floodlights. "This is a sophisticated, high-end hotel brand, and the owners and designers have a minimalist aesthetic. A calming, elegant application of white light seemed, therefore, to be the best approach," he notes. One of the team's biggest challenges was how to significantly reduce light trespass into the guest rooms on the 36th through 38th floors. "At the same time, we didn't want the whole façade to go dark because it's what people see at a distance and it's what informs the skyline," says García Carrera. 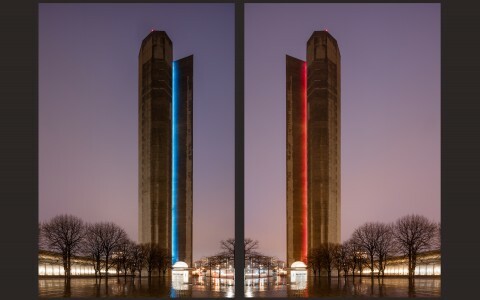 To manage this balance, Fisher Marantz Stone used Lumenfacade HO luminaires in 4000K. 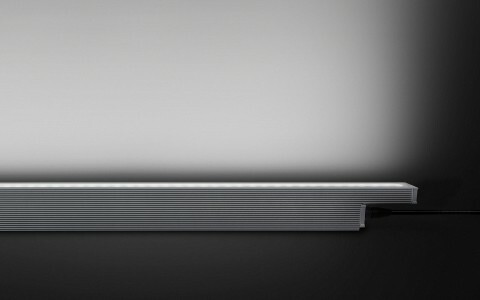 The firm mounted 16 four-foot Lumenfacade luminaires to the base of walls on the 36th floor terrace, illuminating the floors behind the unique balustrade. The fixtures, which use a narrow 10x10 distribution, were installed with custom shutters to eliminate light spill into guest rooms. 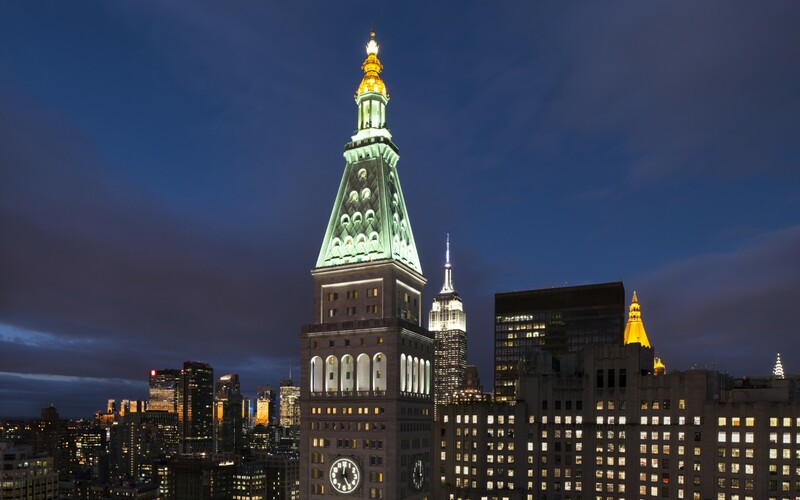 Fisher Marantz Stone then used 15 three-foot Lumenfacade luminaires to graze the building's pyramidal roof, with one-foot Lumenfacade luminaires accenting the cupola lantern at the very top of the tower. "By framing that striking arch form, as opposed to the old indiscriminate floodlighting, we not only eliminated light spill into the guest rooms, we were able to create a signature nighttime presence for the building, which is still subtle enough to match the hotel's minimalist style," says García Carrera.